While the Dodge Challenger SRT Demon is an unquestionable quarter-mile beast right out of the box, it's far from the only way to have a comfortable modern car that can do sub-10-second runs at the drag strip. For instance, you could build up an Audi RS3 like the one in the video above. The little four-door monster managed to trip the lights under 10 seconds a total of eight times. The fastest run was just 9.83 seconds at 144 mph. That's barely two tenths of a second off Dodge's claimed 9.65 quarter-mile time for the Demon. It's also 4 mph faster than the Demon's claimed trap speed, so stretch out the strip a little farther, and the Audi might start to pull away. 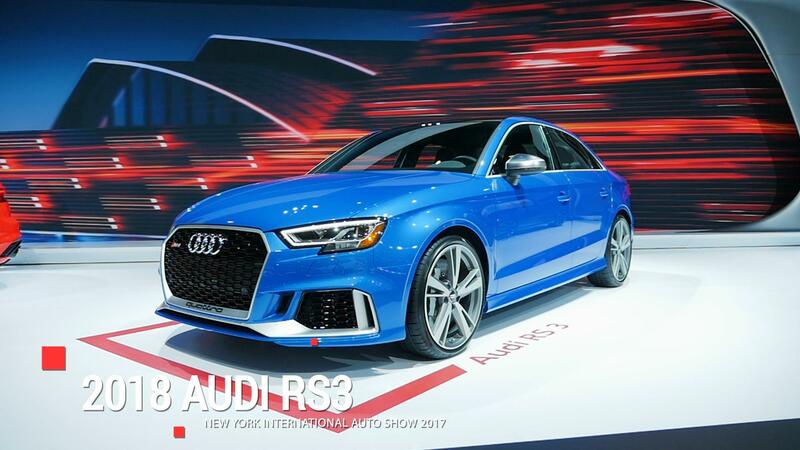 Among the modifications done to make the RS3 this quick were upgraded exhaust and intake tracts, a modified turbocharger, bigger intercooler, and a tune from APR to run on high-octane E85 ethanol. The results were a car that APR says makes over 600 horsepower at the wheels from the 2.5-liter inline-5. The car also had the rear seats removed and drag tires fitted at all four corners for the runs.